Kindle Prepper Deals for Thursday! Kindle prepper Deals for Friday! Kindle Prepper Deals for Wednesday! Kindle Prepper Deals for Monday! 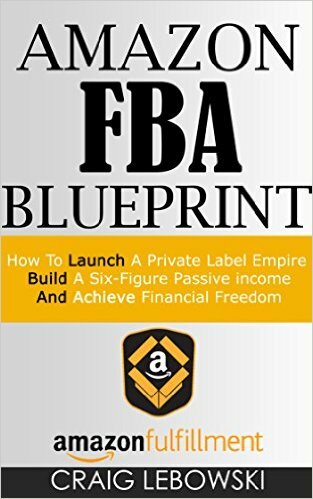 *Amazon FBA Blueprint: How To Launch A Private Label Empire, Build A Six-Figure Passive income, And Achieve Financial Freedom by Craig Lebowski. Price: Free. Genre: How To Launch a Private Label Empire, Sponsor, Entrepreneurship. Rated: 5 stars on 1 Reviews. 69 pages. ASIN: B01H4NENLM. *You Should Be Rich By Now: The Stock Market Trading and Investing Handbook by Tyrone Jackson. Price: Free. Genre: Nonfiction Book, Sponsor, Business & Money Advice, Personal Finance, Self-Help, Investing Basics, Introduction, Health, Fitness & Dieting. Rated: 4.9 stars on 7 Reviews. 29 pages. ASIN: B018RDYWKA. *Prepper’s Cookbook: 25 Incredibly Useful Survival Food Recipes for Easy Meals Cooked With Your Emergency Food Supplies (survival food, wise food storage, disaster preparedness) by Rosina Snider. Price: Free. Genre: Survival & Emergency Preparedness. Rated 4 stars on 60 reviews. 70 pages. ASIN. B01D82N10M. Previous Previous post: Kindle Prepper Deals for Thursday! Next Next post: Kindle Prepper Deals for Tuesday!